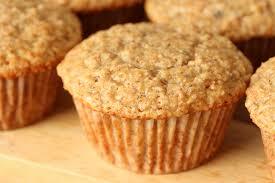 This is a easy, quick banana muffin recipe that makes moist and delicious muffins! Preheat oven to 350 degrees F (175 degrees C). Coat muffin pans with non-stick spray, or use paper liners. Sift together the flour, baking powder, baking soda, and salt; set aside. Combine bananas, sugar, egg, and melted butter in a large bowl. Fold in flour mixture, mixing only until combined - don't over mix! Scoop into muffin pans. Bake in preheated oven. Bake mini muffins for 10 to 15 minutes, and large muffins for 20 to 25 minutes. Muffins will spring back when lightly tapped.